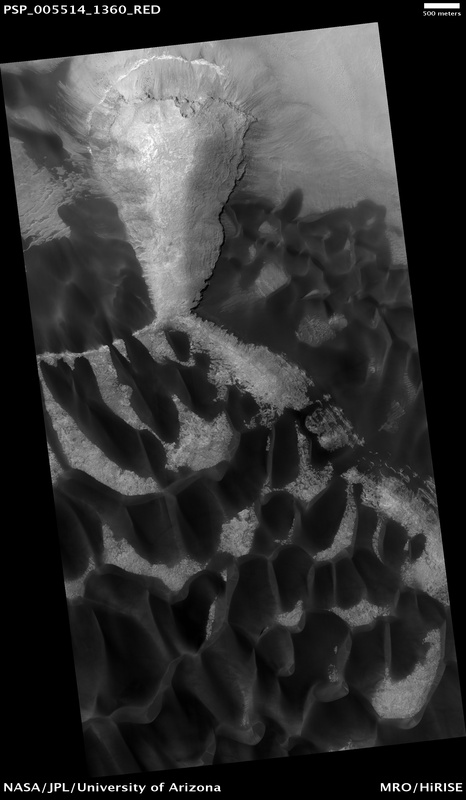 This image shows part of the floor of Rabe Crater, a large (108 kilometers, or 67 miles in diameter) impact crater in the Southern highlands. 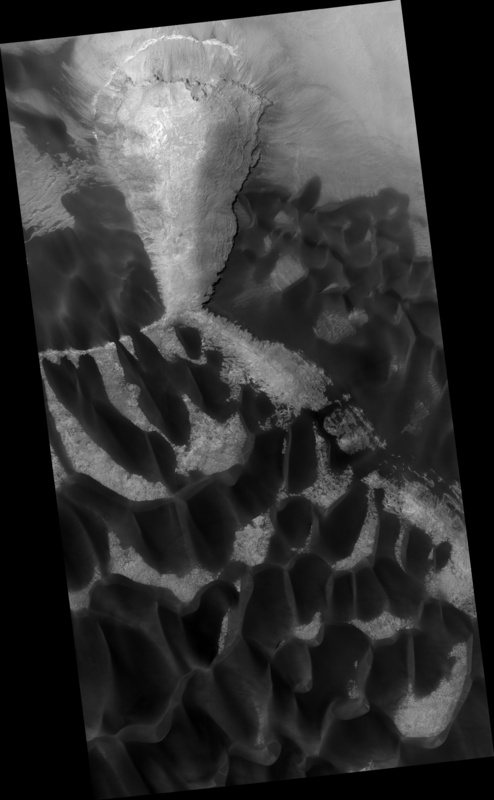 Dark dunes—accumulations of wind blown sand—cover part of crater's floor, and contrast with the surrounding bright-colored outcrops. 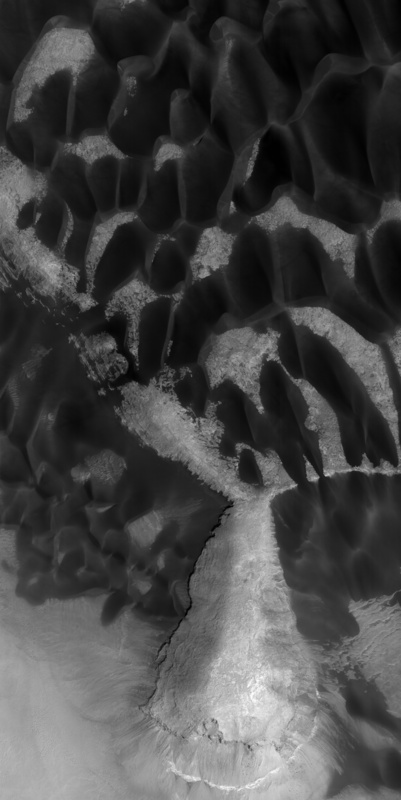 The extreme close-up view reveals a thumbprint-like texture of smaller ridges and troughs covering the surfaces of the larger dunes. 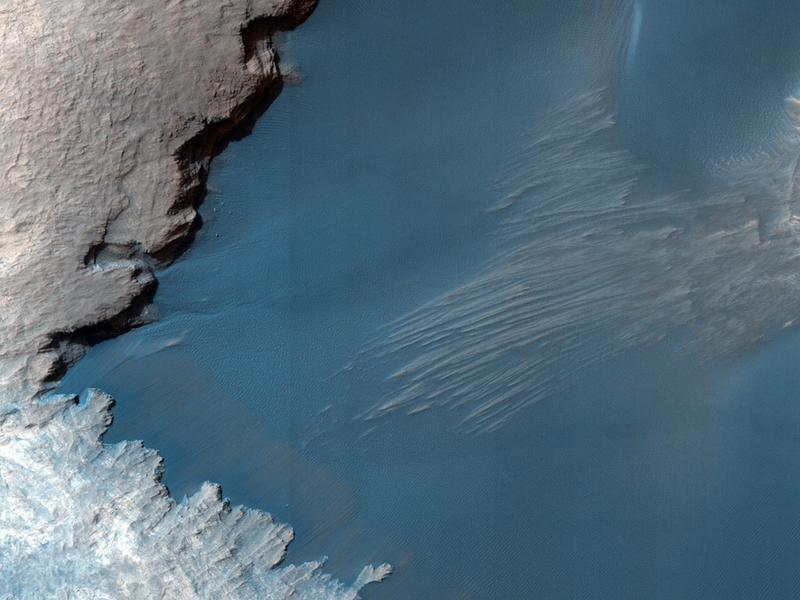 These smaller ripples are also formed and shaped by blowing wind in the thin atmosphere of Mars. One puzzling question is why the dunes are dark compared with the relative bright layered material contained within the crater. The probable answer is that the source of the dark sand is not local to this crater; rather, this topographic depression has acted as a sand trap that has collected material being transported by winds blowing across the plains outside the crater.